You asked me to help you prep food at home. I am answering! JACLYN CAN TEACH YOU HOW TO MAKE GOOD FOOD! This is a free lesson from Meal Prep University! If you like this, be sure to scroll to the bottom for more classes. Can we talk about drinks for a second? Not alcoholic drinks, but we can talk about that another day too! But drinks that we have every day. What we put in our bodies every day. 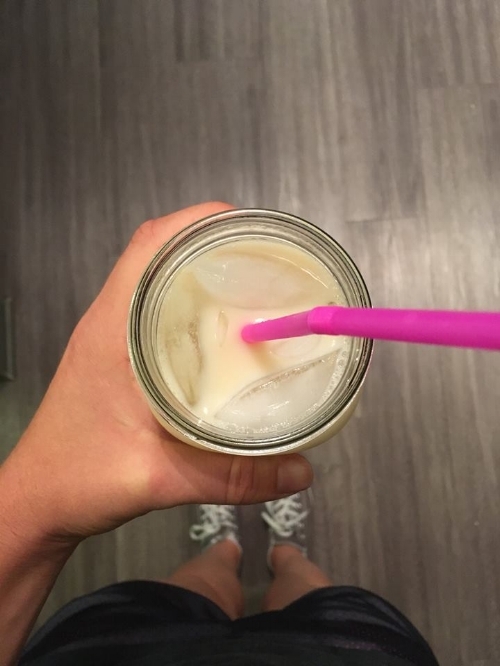 I grew up drinking diet soda, diet iced tea, or skim milk with my meals. We never really drank water unless we were mixing it with the powdered iced tea! When I did my first Whole30 back in 2014, I started cutting out all of these things. I stopped drinking dairy, and I noticed how clear my skin was! I stopped buying cans of Vanilla Coke Zero, and I saw how my wallet was full of extra cash! Those cans add up. I stopped drinking Crystal Light and powdered iced tea. As delicious as they are, I realized maybe I didn't really need them. I started reading the ingredients on things before I put them in my body. And on Whole30, you're basically allowed to drink water. Water with strawberries and mint. It's refreshing! I drink over 100oz of water every day. It's CHEAP AF. A filter for water costs nothing compared to single cans of Vanilla Coke Zero. When I see grocery carts full of cans of pop, my head starts calculating how much money people are spending on a drink. How much money I used to spend on a drink! And I think about how 1 can was never enough... I usually had 2 or 3 in a day. So water is really cool, right? Refreshing. Cheap AF. Delicious when you add some fruit or herbs to mix it up. But after years of drinking only water, I got kinda bored. I needed something besides water that also wasn't something bad for me. I started making tea, but this time real tea! Like buying tea bags and brewing the tea myself. Tea is CHEAP AF. A box of tea is $2-$5 and you get more than just 1 serving in that money spent. I usually make simple black tea and then let it cool in the fridge and pour over ice. I might add a little lemon or I might add a few drops of liquid stevia. I also started buying Tazo tea because it's the brand at Starbucks, and I have always had a yummy iced tea when made at Starbucks. Sometimes tea comes out with no flavor, but Tazo is great. I found this AH-MAZING Tazo tea at Target. I can only seem to find this flavor at Target. It's their Cinnamon tea. Guys, this tea tastes amazing hot or cold just on its own. It has a strong sweetness to it without any added sweetener. But if you do want a sweet drink, my Healthy Horchata is for you. Ok, so disclaimer: I know this isn't really Horchata. If you have never head of horchata, you have probably seen it. It is the sweet rice milk in those beverage containers at Mexican restaurants. It is white and made with rice and cinnamon and sugar. Mine isn't made with that... but it tastes like horchata... Paul likes it too and says it tastes like a mild horchata, so that is my test that this isn't just a drink healthy Jaclyn likes. Heat up 8 ounces of water either in a tea pot or a microwave. Pop that tea bag into your mug! This is a great drink for a mid-day treat. Or if you are cutting back on caffeine but still want something tasty in the morning instead of coffee, this is perfect! Caffeine-free! If you want a little caffeine add a little different flavor, try adding this Caramel Apple Yogi tea too! Let me know if you find the Tazo tea at another store! Here it is on the Target Website. 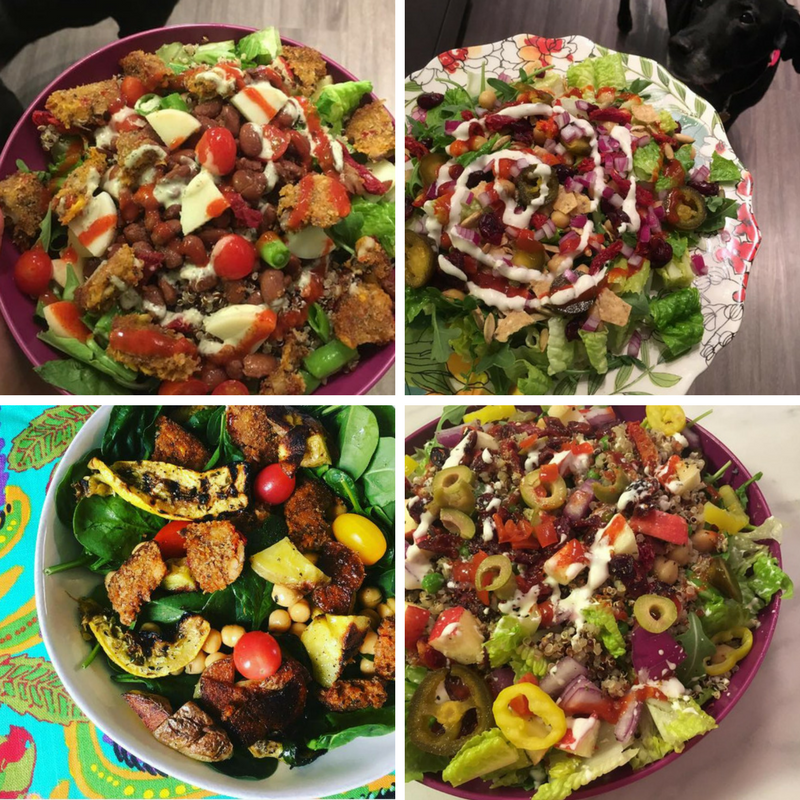 If you are like, "Man, Jaclyn always has really good ideas for recipes, and I have been watching her story for the past two years, but I have no idea how to meal plan like that!" THEN Meal Prep University is for you. -IT'S FALL. I WANT TO EAT ALLLLLL OF THE HALLOWEEN TREATS! How can I? This isn't a regular meal prep class where I tell you to eat kale and quinoa or chicken, broccoli, and brown rice. I won't tell you to eat rice cakes or cottage cheese. THIS IS NOT AN ACCOUNTABILITY GROUP. This is not for people who are going to quit on themselves 3 days in. This course is for people who are serious about making a change in their meal prep routines. The classes will be released 7 at a time, and it is up to you to schedule 15 minutes to watch and 10 minutes to do the work. I will show you how to eat real food like vegetables, fruit, and lean protein... but also the other REAL food like pizza, nachos, chips, and chocolate. Wednesday, September 27 is the ABSOLUTE LAST day to enroll! Older PostPicking a Goal That Scares the Crap Outta Ya!